Topics: Social Media Research, Market Research, Survey Research and Methodology. Venue: Baden-Wuerttemberg Cooperative State University Mannheim, Germany Until November 15 2011: abstract submissions for tracks 1-3, best practice award, thesis presentation. Until January 31 2012: submissions for posters, GORcamp. Attendants of the General Online Research Conference (GOR) discuss the most relevant research and case studies that show the developments in online research. Submissions are welcome about methods, instruments and theories that deal with the collection of data via the Internet or the effects of online applications and technologies on all levels of society. Since 1997 GOR is attended by scientists and professionals who want to stay on top of new developments and best practices for their work in companies and academia. The program committee invites presenters from academia, the private sector, official statistics and the government. quantitative or qualitative approaches, online experiments, content analysis, panel quality and panel research, survey design, data collection, coverage, sampling, nonresponse, measurement, adjustment, and weighting, including topics from personality research, voting behavior, etc. quantitative and qualitative approaches in online and mobile research. Contributions which show how online methodology performs compared to classical approaches in this field are welcome. Please note that purely promotional presentations will not be considered. etc.) as well as theories (intellectual property, privacy, transparency, canon and statutes of professional ethics). Applications and best practices are welcome. Presentations can also advance the topic of social media and civil society, for example: public opinion and social media, participation and the deliberative democracy, social capital. These presentations will be part of track 2, applied online market research. 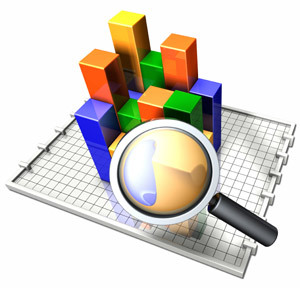 A strong focus on applied market research based on a real world case study is mandatory. We prefer joint presentations by companies and a research agency. The abstract should especially make clear what the results add to existing insights and knowledge. All submissions in this category are considered for the Best Practice award. This is a prize for the best paper from market research. 5. Posters (including the Best Poster award competition) Posters offer the opportunity to present late breaking research, short research findings or discuss work in progress. Posters are presented in a plenary session. A poster may cover any topic of GOR. Access to poster presentations will be possible during the whole conference. All submissions in this category are considered for the Poster award. Up to the best 3 Master/diploma and doctoral theses will be presented at GOR in this category. Selected authors will present their findings at the GOR conference and the best presentations will be awarded a price. The conference fee is waived for all presenters in this category. Submissions should include the thesis as PDF-file, an extended abstract (limited to 7000 characters, about 2 pages) and the agreement to present the results at the GOR conference. This highly interactive format provides more time for discussions than other formats. Each one hour GORcamp session starts with four 5-minute presentations. After that the audience splits up into four moderated groups to engage in a deeper discussion on the specific topics considering their own preferences. Submissions should briefly describe the topic of the discussion, the abstract categories for the other submission formats do not apply here. Please use the above template for your abstract submission (one paragraph for each criteria and include the keywords in the beginning of each paragraph). Incomplete abstracts with respect to the formal criteria above will probably be rejected. In case your research is still work in progress, and therefore final empirical results are not available by the time of submission, you will be asked to hand in your results later. In this case please declare in the comments field during submission, when you will be able to update your abstract. Please note that we cannot accept presentations unless final results are available. Presentations in the tracks last 15 minutes followed by 5 minutes of discussion. Please consider a poster presentation for work in progress. Where stated, the required submission format may differ (e.g., GORcamp, thesis presentation). All abstracts are scored in a double blind peer-review process by members of the GOR international board according to the criteria mentioned in the submission format (clarity and quality of relevance & research question, methods & data, results, added value). Most submissions receive feedback and comments from 3-4 reviewers each, together with the final decision of acceptance or rejection. Chances of acceptance rise when all four criteria are addressed in the abstract. management and easy host dial-pad controls to name a few.